Somehow I forgot to post my reading last week! Ah well, I am still getting back into the swing of things. 🙂 So, this week I am covering TWO weeks of reading. 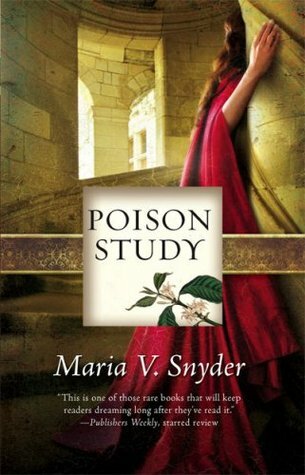 Poison Study by Maria V. Snyder – This is my first re-read in years! I adored it when I first read it and am quite enjoying it this second time. Not quite as stellar, but still a great book. Shadow Study by Maria V. Snyder – After a few pages, I put this on hold to re-read Poison Study. Wanted to get back into the “feel” for the characters before I continued. Entice by Carrie Jones – This one was a “I am on a plane and have finished my book, what else do I have on my phone” choice. I didn’t enjoy Book 2 all that much but do want to finish this series eventually… I admit, I haven’t restarted the book since getting off that plane, so who knows! 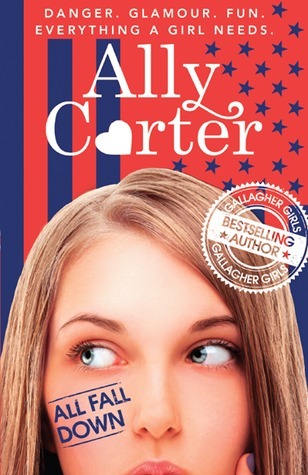 All Fall Down by Ally Carter – Fab! A really great start to another great Ally series. I was a bit miffed by the ending, but I know things will be more stellar in the next book. This Shattered World by Amie Kaufman and Meagan Spooner – SO GOOD I CAN’T EVEN. BUY IT AND READ IT AND LOVE IT. 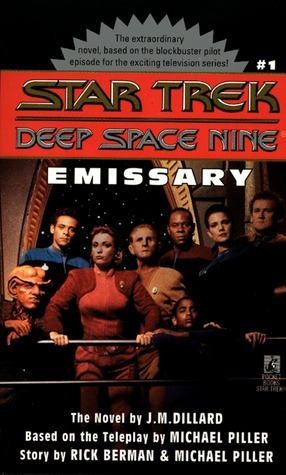 Emissary by J. M. Dillard – A must-listen for die-hard Niners. Lovely alternative look at the pilot. Warped by K.W. Jeter – Despite a great narration, this was not a very good book. Last week, I dealt the 7 of hearts – otherwise known as Wild Magic by Ann Aguirre. Aguirre can do no wrong – a fact that also applies to short stories. This week, fate has handed me the 8 of diamonds a.k.a. Spirey and the queen by Alastair Reynolds. I haven’t gotten to this one yet but hey, I have all week! Yay! You’re reading (or will be back to reading soon) Shadow Study! I can’t wait to see what you think. I hope it’s as good as the first book had been! An extreme reaction, perhaps, but needless to say I was SUPER excited when I saw the POV shift!